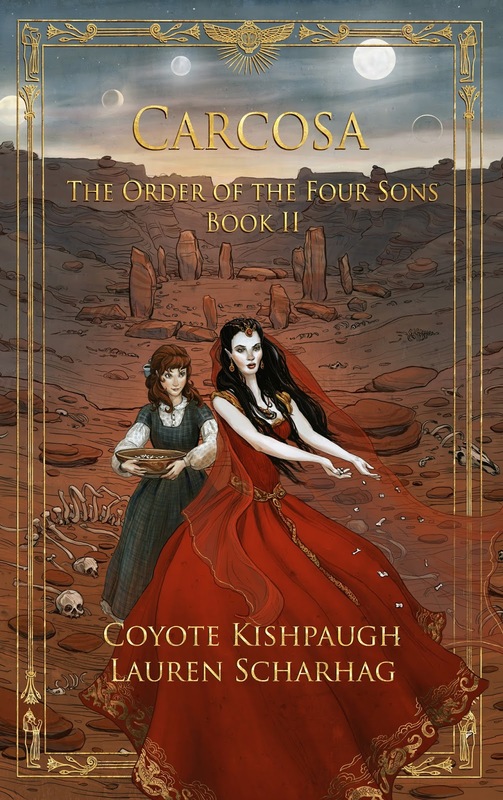 So this was a much faster turnaround than I expected, but I am happy to announce that Carcosa, (Order of the Four Sons, Book II) will be released on Dec. 4. If you loved Book I, Book II has more guns, more monsters and more magic. I have two excerpts of Book II up here and here. Do you love Erin as much as I do? If so, you'll be ecstatic to know that our publisher, Kensington Gore, has poster versions of the cover art in the works, some of which will probably be prizes for some lucky readers. I know I can't wait for my walls to be adorned with all things O4S! Look for Books III and IV to be released in 2016. Once again, thank you to Graeme Parker at Kensington Gore for making this all possible. Thanks to Erin for bowling me over with the gorgeousness of your art. And thanks to readers, old and new. Your support means the world to us.